What is everyone shooting during turkey season? I've been hoarding BassPro gift cards and have $650. I hadn't planned on buying a new shotgun, but took my little boy to the Pyramid BassPro in Memphis this weekend and saw some turkey guns under $500. Got me thinking I might try out one of these turkey rigged guns this year instead of the SBEII I've been using. Remington 11-87 Sportsman Super Mag. This is what I use. I got it at a pawn shop a few years ago. With the right choke, your SBEII will work fine though. With the right choke, your SBEII will work fine though. I have a mossberg 835 ulti-mag in 12ga. It's killed all the turkeys I've shot with it. If you hunt private land with a good amount of birds I'd go with a 20 gauge. I've often wanted to try a cheap SXS or O/U one with an extra full and one with a Modified choke. Just figured I'd throw a different idea out. Just shoot a reliable pump with a good choke and quality ammo. Find a combo that patterns well. By well I don’t mean as tight as possible. More important not to miss turkeys at 15 yards than it is to kill them at 60. 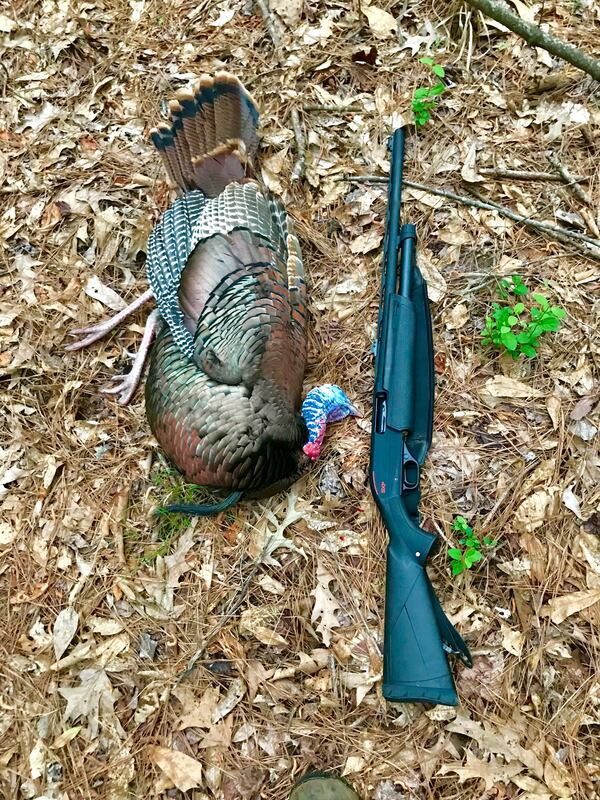 12ga Browning BPS Hunter with a Carlsons turkey choke. Kills'em dead dead.